[description] => Polycarbonate roof lights are an incredibly efficient way to bring natural light into a room. Our products are available in a range of colour tints (clear, diffused, opal and bronze) and they can be made to suit customer specifications if needs be. Our products are manufactured using a thermoforming process in single or triple skin construction, allowing the roof light to meet architectural requirements. It is the buyer’s responsibility to ensure the rooflight size purchased is suitable for the intended installation. All measurements given from the product selector are external roof upstand sizes (overall). Where applicable, the rooflights will come with a 50mm fixing flange. As standard a deduction of 100mm should be made to calculate the internal size of the rooflight (clear light size). If a bespoke flange size is required please contact the direct rooflights office. [short_description] => Our polycarbonate roof lights are robust yet minimalistic, offering a smart solution that allows natural light to fill a room. This product is available in both pyramid and dome shapes, as well as a range of colours. Our polycarbonate roof lights are robust yet minimalistic, offering a smart solution that allows natural light to fill a room. This product is available in both pyramid and dome shapes, as well as a range of colours. Polycarbonate roof lights are an incredibly efficient way to bring natural light into a room. Our products are available in a range of colour tints (clear, diffused, opal and bronze) and they can be made to suit customer specifications if needs be. Our products are manufactured using a thermoforming process in single or triple skin construction, allowing the roof light to meet architectural requirements. The profile is 168mm high and splays in from the base section 100mm per side. With an upper ribbed portion to give improved adhesion to a variety of waterproofing systems, the DR 168 Splay is the ideal choice for retrofitting an existing flat roof and is offered with the full range of ventilation and polycarbonate rooflight range. The profile is 175mm high and comes vertically out of the roof for maximum benefit of natural light. With an upper ribbed portion to give improved adhesion to a variety of waterproofing systems, the DR 175 Vertical is the ideal choice for retrofitting an existing flat roof and is offered with the full range of ventilation and polycarbonate rooflight range. The profile is 300mm in height and splays 150mm in from the base section. With an upper ribbed portion to give improved adhesion to a variety of waterproofing systems, the additional height makes it the ideal choice for a new build environment where greater depths of insulation are to be used at roof level to improve the thermal performance of the building. The DR 300 Splay is offered with the full range of ventilation and polycarbonate rooflight range. The profile is 300mm in height and comes vertically out of the roof for maximum benefit of natural light. With an upper ribbed portion to give improved adhesion to a variety of waterproofing systems, the additional height makes it the ideal choice for a new build environment where greater depths of insulation are to be used at roof level to improve the thermal performance of the building. 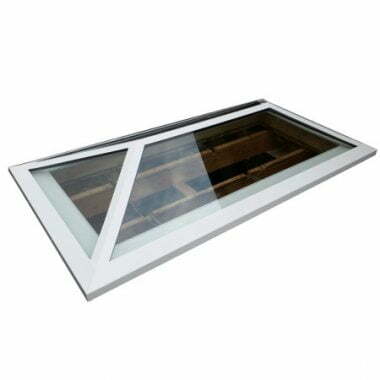 The DR 300 Vertical is offered with the full range of ventilation and polycarbonate rooflight range.